There are thousands of moth species in the northeast of North America, and while it might seem that they are all drab grays and browns, there is actually a startling variety. They come in a rainbow of colors, from brilliant oranges and pinks to soft greens and violets. There are moths with colorful leopardlike spots, and ones that look more like B-movie aliens; some that are as large as your hand, and others the size of a grain of rice. 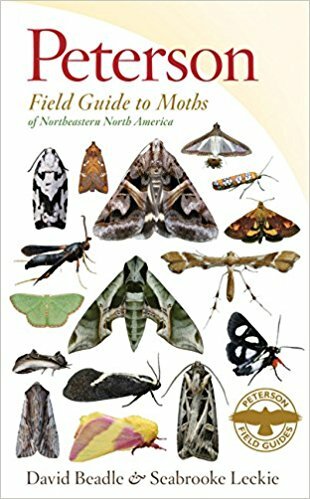 With helpful tips on how to attract and identify moths, range maps and season graphs showing at a glance when and where to find each species, and clear photographs that use the unique Peterson arrow system for easy identification, this guide provides everything an amateur or experienced moth-watcher needs.